Your computer might be at risk. 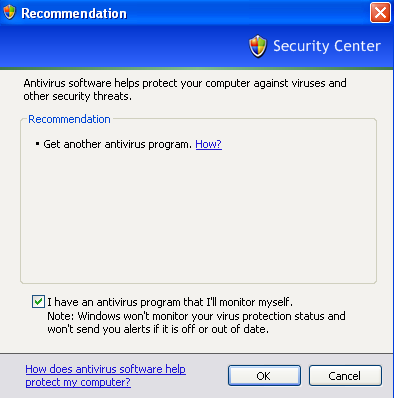 Antivirus software might not be installed. It’s fine if you don’t know how to use a computer or forget to install something, but if you know what you are doing, then this nagging popup message is bothersome. So how can you turn off the message? In this article, I explain how. 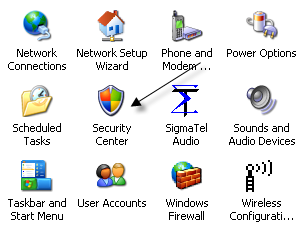 Step 1: Open the Control Panel and click on Security Center. Step 2: Now for the item(s) that are in red, Firewall, Automatic Updates, or Virus Protection, click on the double arrow that is pointing down and click on Recommendations. Step 3: At the bottom, click on the checkbox that says “I have an antivirus program that I’ll monitor myself” and then click OK. 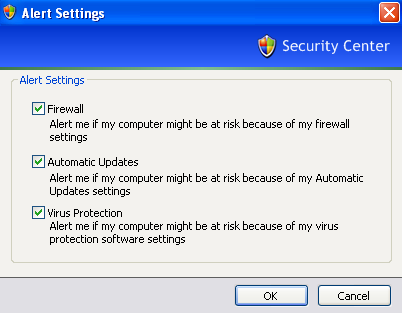 Note that you can do this for the Firewall is not turned on and Automatic updates is not turned on popup messages also. 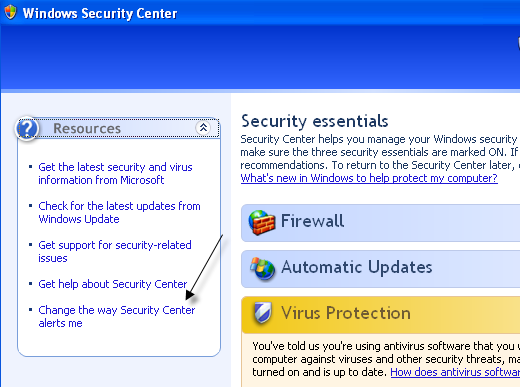 You can also click on the Change the way Security Center alerts me link at the left in Windows Security Center and turn off monitoring completely. Just uncheck what you do not want monitored anymore and you won’t get the Your computer might be at risk message again! That’s it! Of course, you should make sure you do have some kind of anti-virus program installed and a firewall also. Keeping Automatic Updates on is a smart idea too! Enjoy!